Knowing the challenges that young and talented singers face at the start of their careers, Kiri Te Kanawa and her foundation were keen to work with the Royal Opera House to find a way to support promising young singers. The Kiri Te Kanawa Foundation Cover Awards were created in 2015 to allow The Royal Opera to select promising artists to cover roles where the Company might not normally employ a cover, offering selected artists significant international exposure and experience. ‘The world of international opera today is very different from the one I entered 44 years ago’, says the great New Zealand soprano, who established the foundation in 2004. ‘The field is full to overflowing with highly trained, motivated and ready-to-go young artists who have everything it takes to build a career – except performance experience. The main issue for covers is the living expenses during the weeks of rehearsal and the performance period’, says Te Kanawa. Avetisyan's sweet bel canto remains flawless no matter how much he hurls his indian-rubber limbs about: I've never seen a funnier Nemorino. Nurtured on a Dame Kiri Te Kanawa Foundation Award, Avetisyan sings with a honeyed, old-fashioned lyricism that offsets his character's Gumpish gormlessness. The Armenian tenor Liparit Avetisyan is another star in the making, playing the part of Nemorino with excellent comic skills. His performance of the opera's real show-stopper, 'Una Furtiva Lagrima' (one furtive tear), when Nemorino feels his great despair, was beautifully delivered and packed with emotion. 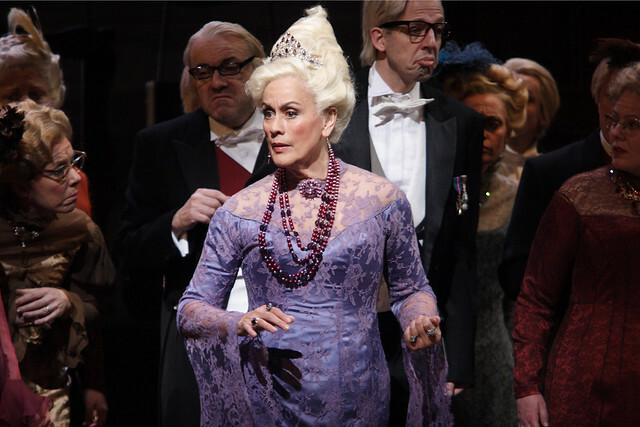 Find out more about the Kiri Te Kanawa Foundation.